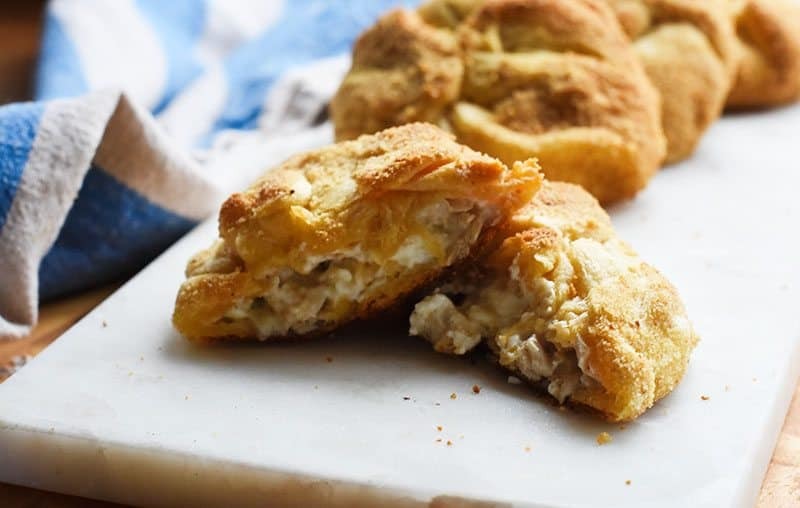 an easy and delicious way to use up leftover turkey! 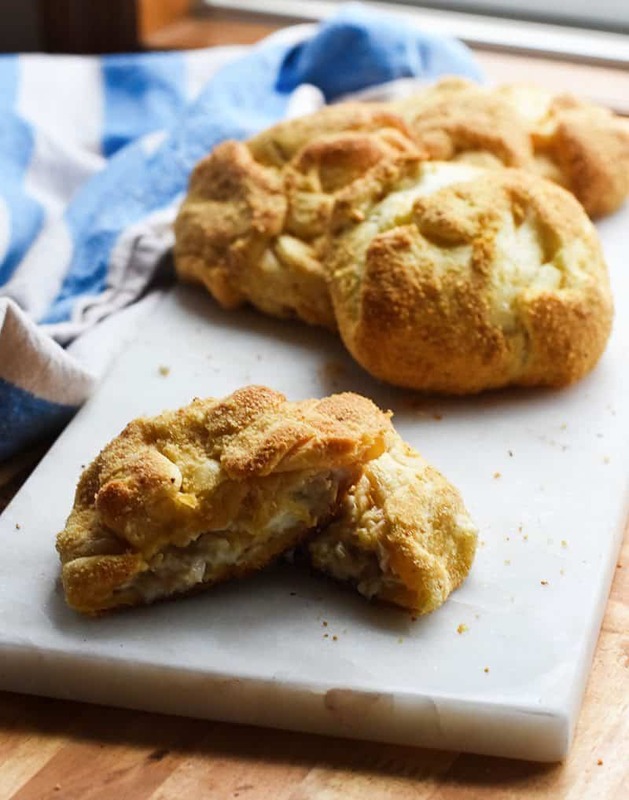 These crescent roll bundles are full of creamy goodness! These little bundles of carbs, meat, and dairy are called Turkey Crescent Roll bundles and, to me, they are more than piles of goodness. 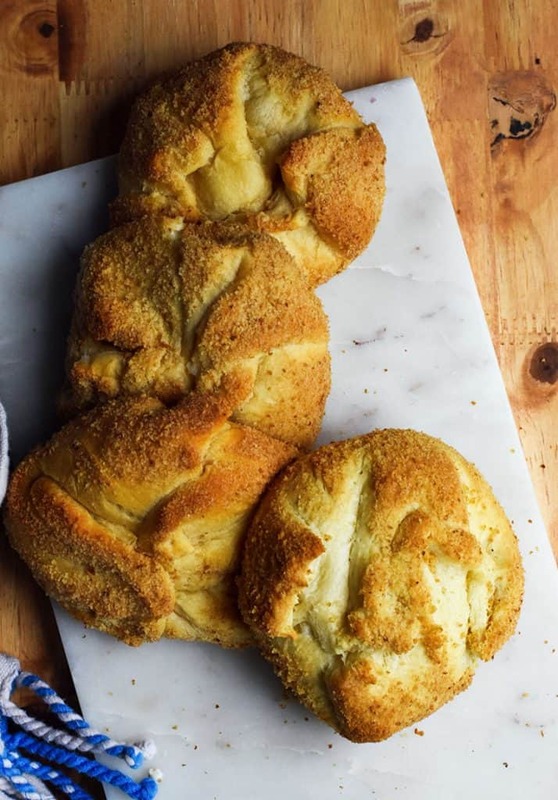 This crescent roll recipe reminds me of my Grandma Bunny and Thanksgiving every time I make them. Last week Alice Seuffert from Dining with Alice shared her Grandma Alice’s Crockpot Creamed Corn. 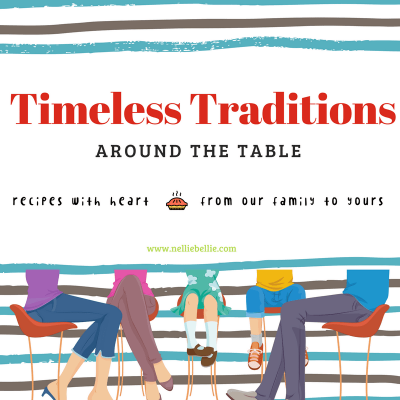 This week I have the honor of bringing to you one of my family’s Timeless Traditions recipe. I share again and again easy family recipes and stories on NellieBellie. It is, after all, what we are about… bringing families together around the table. But this recipe is a bit more special than every other. I haven’t yet shared this one. I’ve been keeping it close. Chocolate Eclair Bars (these are coming!) and these Turkey Crescent Roll Bundles are exclusively my Grandma Bunny’s. I can’t remember having them any other place, ever. Although I know that many of you have had them, too. To me, these recipes ONLY could be had at Grandma’s. Now, these recipes can’t be made without talking and sharing and crying and laughing over the memories of being with her and my grandfather on holidays. Both have been gone for many years, now, and it is a bit bittersweet to share these recipes. Bitter because I can’t show her the many people that will enjoy her recipe. Or sit with her and remember making these little bundles with her. How she would let us get up early in the morning to prepare them. I would love to ask her how she managed to get them made with at least 8 kids underfoot. Did she know how much we loved them? Because I don’t remember communicating that to her. Making these recipes myself, sharing them with my family, and “carrying them on” means the times of having them at her home are over. Over is sad, isn’t it. Sweet because every time I make these I stop and remember her. Not just the memory of her while making these. So many more. I make these up with my family and tell them stories and memories of my Grandma. And in the process, create NEW memories. About the laundry chute from under the upstairs bathroom sink to the downstairs laundry. As kids, we always sent stuff down that to see what happened. I’m pretty sure my uncles egged us on and I KNOW my Grandma hit an Easter basket in it one year. We hide Easter baskets with our kids each year, too. For a while we used ice cream buckets, just like Grandma. I bundle up these little squares and tell my kids about how my Grandma knew every edible flower or plant there was in the northern woods of MN. She often made us tea from Sumac bushes. We pretended to like it but secretly hated it; we just loved watching her collect it, boil it, and spend time with us. While I brush the bundles with butter and dip them in breadcrumbs, my husband and I laugh about the summer my Grandma tipped backwards in her yard chair that was on the dock…right into the water. She was such a good sport about it and laughed along with us. The bundles bake and I recall Grandkid Week spent at my Grandma’s lake. Just my Grandparents and a couple cousins and sibling for the whole week. As the oldest of 10…that was magic. Grandpa would take us fishing and Grandma would take us hiking, watch us swim for hours, cook delicious food, and even let us swim in the evening. Magical Minnesota lake summers! These little bundles of Crescent Rolls are absolutely delicious. You MUST try them. While you bite into that first bit of creaminess…think about a Grandma Bunny from Minnesota and the blessing she was to a little girl. Tell me…what recipe is special to you? Roll out the crescent roll dough and form 4 rectangles from 2 triangles, each. Press the seams together to make sure there isn't any seeping. Smash the cream cheese and butter together. Add a bit of salt & pepper. Stir in the turkey or chicken. 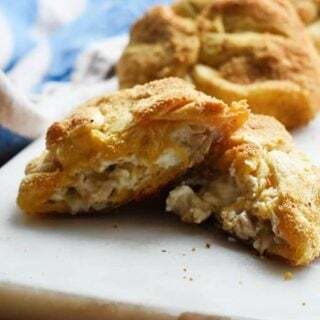 Put 1/4 of the turkey mixture into the center of the crescent roll rectangle. Pull the edges of the rectangle up to meet in the middle and press together so the seams are closed. Brush the bundle with melted butter and roll in bread crumbs. Bake at 375 degrees for about 25 minutes or until dark golden brown. Add diced onion or green onion for more flavor. If your mixture is a bit difficult to stir, add a tablespoon of milk to thin it out.